Fiercely anti-Communist, Clement Attlee found Britain’s intelligence agencies to be invaluable tools. 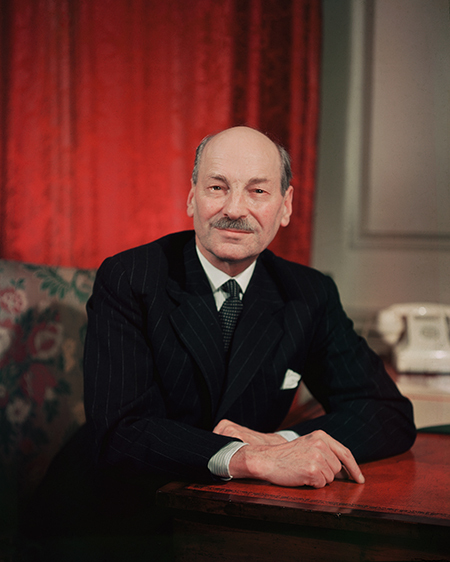 Citizen Clem: Attlee during his time as prime minister, 1945-51. © Hulton/Getty Images. Often viewed as a shy, reserved individual who few people knew intimately, Clement Attlee stands among the top flight of postwar prime ministers. As leader of the Labour Party, which achieved its first significant Commons majority in July 1945, Attlee’s government implemented a significant programme of domestic reform at a time of fiscal austerity, fundamentally changing the nature of British politics until the election of Margaret Thatcher in 1979, when much of the ‘Attleeite settlement’ was disbanded. Though Attlee’s legacy remains strong, he has been seen as something of an enigma by historians, with numerous biographies apparently failing to fully grasp his public and private life, something only John Bew’s excellent study, Citizen Clem (2016), finally pieces together. Yet there is one significant area that’s still absent: Attlee’s intimate relationship with Britain’s intelligence and security agencies – the Security Service (MI5), Secret Intelligence Service (SIS or MI6) and the Government Communications Headquarters (GCHQ) – during his tenure in office and the role they played in Attlee’s secret Cold War. 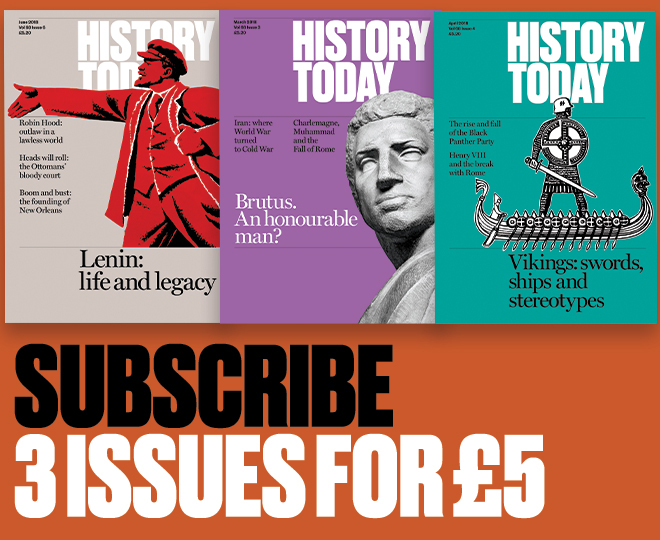 Nowhere is this absence clearer than in comparisons between historical accounts of Attlee and his wartime colleague and postwar rival Winston Churchill. 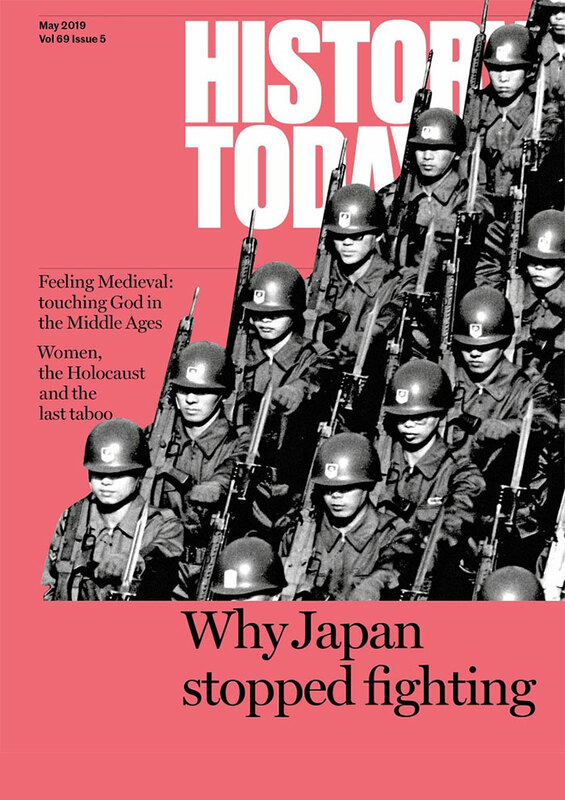 Today, few, if any, accounts of Churchill omit his avid interest in spies and saboteurs. For Harry Hinsley, the wartime codebreaker and Cambridge don, Churchill was ‘exceptional’ for his knowledge and use of secret intelligence, while Christopher Andrew, MI5’s authorised historian, claimed that Churchill was unique among British politicians for his ‘passionate faith’ in spies. In marked contrast, Attlee’s use of intelligence has been ignored; his biographers neglect it completely, while intelligence historians claim, wrongly, that Attlee disliked espionage, based on a long legacy of mistrust between the Labour Party and Britain’s intelligence and security community. Some have even questioned Attlee’s anti-Communist credentials. Yet, this is inaccurate. While certainly not obsessed with spies on a Churchillian level – the only real loves in Attlee’s life seem to have been cricket and his wife, Vi – claims that he was anti-intelligence are hard to support considering the ever increasing amount of archival material. By 1945, arriving in Downing Street, Attlee was already an experienced intelligence consumer, thanks to his apprenticeship as a key player in Churchill’s coalition government. In wartime, Attlee received intercepts of Germany’s Enigma machine, even being rebuked by the prime minister in 1943 for not observing the strict security protocols for handling top-secret papers. Beyond intelligence, Attlee and Labour members of the government also played an important role in the formation and early development of Britain’s Special Operations Executive (SOE), responsible for sabotage and subversion in Nazi-occupied Europe. As a result, by the time he entered Downing Street, Attlee was, perhaps, one of the most experienced intelligence consumers to ever reach the top job. As prime minister, he was seeing diplomatic intercepts – mostly former neutrals, but some, including the French, close allies – and, of course, material on the growing threat posed by the Soviet Union, with whom relations with Britain had started to deteriorate rapidly since 1946. At home, Attlee and many in his Cabinet shared a long-held hatred of Communists or ‘fellow travellers’ – something alluded to by MI5’s Guy Liddell, who claimed, rightly, that Labour would be ‘more interested’ in MI5’s information than their Conservative counterparts. Attlee maintained a close relationship with MI5’s director general, Sir Percy Sillitoe, even becoming the first prime minister to visit their headquarters. Overseas, Attlee and his foreign secretary, Ernest Bevin, were kept in the picture about the development of the ‘Iron Curtain’ and Soviet activities by Britain’s intelligence agencies, as well as the reports of Britain’s Joint Intelligence Committee, even if they were, at times, far from impressed with the end product. In April 1950, Attlee himself raised concerns about Britain’s foreign intelligence, suggesting the government did not get ‘full value’ for the money spent on espionage, leading to a major review of intelligence by the Cabinet Secretary, Sir Norman Brook, which laid the foundations for the professionalisation of postwar intelligence in Britain. But Attlee did more than just receive intelligence. Now, thanks to document releases, we are able to see Attlee’s use of special operations and propaganda and to fill in the detail about the Cabinet committee machinery produced to govern Britain’s covert Cold War campaign. Believing, initially at least, that propaganda would be enough, Attlee and his government had sanctioned the creation of the Foreign Office’s Information Research Department to provide an initially positive, if increasingly hostile, anti-Communist information offensive, prompted by Labour’s under-secretary of state in the Foreign Office, Christopher Mayhew – a campaign that Attlee himself had helped launch with his New Year’s message for 1948. Increasingly, however, the gloves started to come off. By 1948, prompted by growing East-West tensions, small special operations were being considered to weaken the Eastern Bloc. The first testing ground for Britain’s Cold War offensive was Albania. Ironically, especially in light of his traditional image as a man of integrity, Attlee was fully behind what became known as Operation Valuable, a joint SIS-CIA scheme to undermine the Communist regime there. When presented with the plans, Attlee, scribbling his views in pencil, asked for ‘an appreciation of Albanian personalities. Are they not possibly for sale?’ Unfortunately, as the Foreign Office pointed out, the regime was ‘committed to the Soviet camp’. Bribery was ruled out, but SIS was given clearance to insert teams of anti-Communist Albanians (codenamed ‘Pixies’), anticipating future paramilitary activity. In the end, Operation Valuable proved a step too far and led to the deaths of many of the inserted agents. Yet the Attlee government remained committed to undermining Communism. A small group of officials – the Committee on Communism (Overseas) – was tasked with presenting schemes ranging from minor special operations (‘pinpricks’) to subversion and ‘black propaganda’. Attlee’s Cold War is significant for a number of reasons. He was certainly the complex, multifaceted individual described by Bew. In his own words a ‘socialist’, he was equally capable of using intelligence and its ‘associated activities’ – propaganda and special operations – to further Britain’s interests and to undermine Communism. While not fixated with spies and secrets like Churchill, he should be seen as a master of intelligence: interested when necessary, but willing to criticise the intelligence agencies if required. Perhaps the final ‘enigma’ has been laid to rest. ‘Citizen Clem’ was also a ‘Cold War Warrior’. Daniel W.B. Lomas is Lecturer in International History at the University of Salford and the author of Intelligence, Security and the Attlee Governments, 1945–1951 (Manchester University Press, 2016).